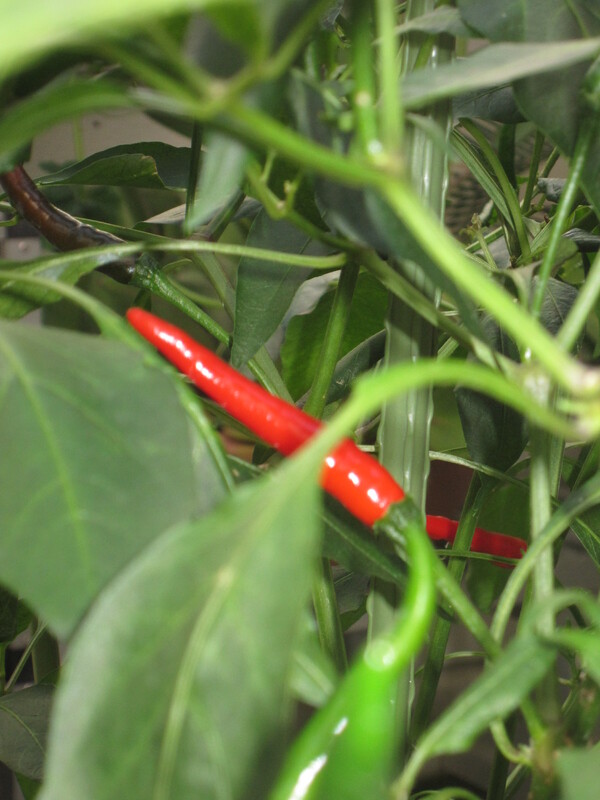 This entry was posted in Chilli, Novice Gardener and tagged Chilli by Growing Like a Weed. Bookmark the permalink. Mummy says the chillies are HOT! We will pass you some this weekend. They are so GLOSSY and waxy! Like those photoshoots of fruits and vegetables where they spray water to get the shine. I don’t think you sprayed water coz the leaves are dry – are they really so shiny?! I think they are the spicy kind! These look thin and long – the fat juicy ones are sweet and useless!